At ProfessioNail we have highly skilled, qualified and friendly staff using the highest premium products from the US, making your nail treatment fun and deserving. Superior quality has driven ProfessioNail to set higher standards for services in the nail industry above many competitors. The products are created by the best Research and Development team in the US and is among the top in the industry with exclusive distribution to ProfessioNail stores. ProfessioNail still leads the way in technology, innovation and style. 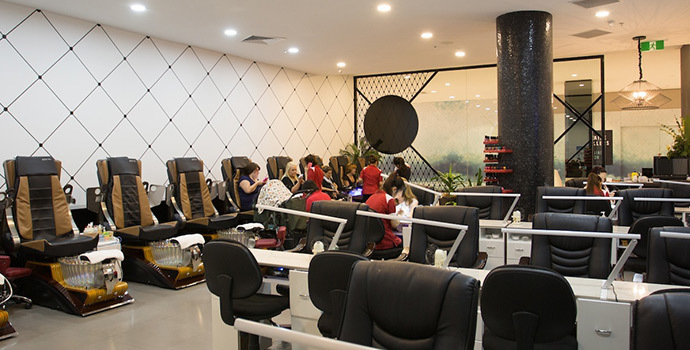 We offer a range of services including manicures, pedicures, acrylic nails, gel nails, nail art and so much more.